As someone who can't go to bed without a glass of water next to me, this is a dream. Never again will I have to get out of bed because I've forgotten my water! 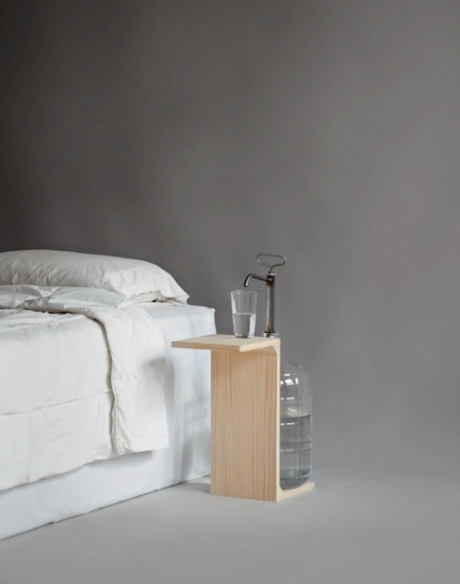 This design comes to us from Leo Ransmeier from a design competition destined to "reinvent the nightstand" Check out all the designs HERE.